Order in the next 3 hours, 19 minutes an 25 seconds for same day shipping. Large impression size, perfect for "big" messages in business! 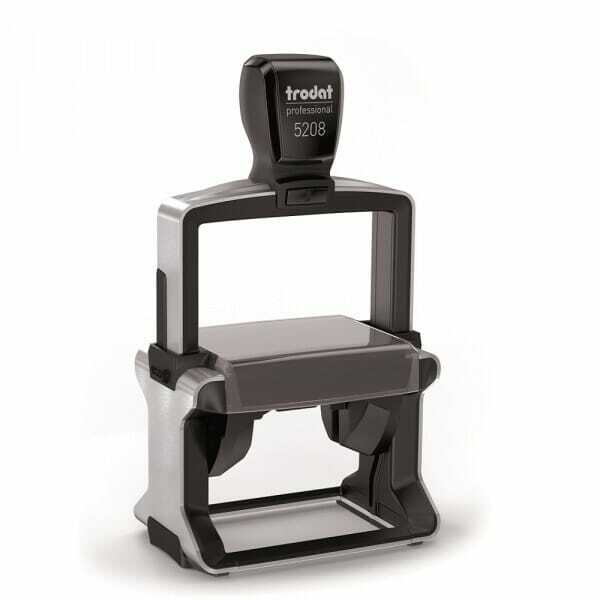 This self-inking rubber stamp with integrated ink pad is the ideal large stamp where more space is needed. Professional 5208 has a rectangular text plate of 68 x 47 mm, to fit up to 10 lines of text. Why not add your company logo or claim to your business stamp? Be creative, you have enough space on this robust, reliable office stamp. It is climate-neutral as part of Trodat's bestsellers range. Suitable replacement ink pad 6/58 is available in 5 standard colours: black, blue, red, green or violet. Dry felt pads are suitable for special inks. Customer evaluation for "Trodat Professional 5208 65 x 44 mm - 10 lines"
Mod Podge - Antique Matte 8 Oz.